Pat was the founder of Physio Accountant, having a considerable number of physio clients within his existing practice Paris Financial it was a natural progression to create an arm of his accounting and finance business specialising in the area of physiotherapists and allied health. With the expansion of Paris Financial in recent years the time was right to bring Physio Accountant back under the name of Paris Financial. Pat’s commercial experience centres around advice for practice owners and their businesses. He assists practice owners in all areas of tax compliance, business entities and structuring. Pat has specific skills through many years of experience in valuing and advising practice owners on physiotherapy practices Australia wide. He also has extensive knowledge in structuring direct property transactions within super and other tax effective strategies that address our clients’ current life style and retirement plans. Darren has worked in the finance industry since 1993, and is passionate about providing an excellent holistic financial service to individuals and businesses. Darren works closely with our accountants to provide individual, strategic financial advice and ongoing services to meet personal and financial goals of physiotherapists and other Allied Health professionals. Emily has a Bachelor of Accounting, is a Certified Practising Accountant and has over 8 years of experience in the taxation of small to medium sized physiotherapist businesses. Emily strives for excellence in client service, providing taxation advice in business structuring, property structuring, tax compliance, tax planning and self-managed superannuation funds (SMSF’s). She is also a part of the Physio Accountant valuations team, assisting in the preparation of independent business valuations for a range of clients. Emily has a special interest in clients with Allied Health businesses, particularly physiotherapists. With years of experience in this area, she is able to provide tailored advice for clients with both start-up and mature businesses. Noel has many years of experience, having run his own successful accounting practice for more than 30 years before handing over to his son, Pat. His experience in tax compliance, structuring requirements of small business, SMSF, property investors and high net worth individuals is invaluable. Since the inception of superannuation into the Australian Financial system Noel has been at the forefront of accounting knowledge, tax knowledge and structuring for clients with self-managed superannuation funds. His experience in this specialised field has allowed him to drive the phenomenal growth in our SMSF audits and strategic advice. This advice is regularly accessed to help structure and guide the SMSF’s of our physio and allied health clients. 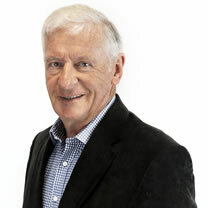 Noel continues to be a wealth of knowledge and mentoring for all our CPA and Graduate Accountants in the areas of physiotherapists, allied health, small business, all state and federal taxes and SMSF’s. In addition he has a loyal group of clients who are lucky enough to still receive direct advice for their financial needs. Linda has an in depth understanding of all facets of consumer and commercial lending and finance with more than 17 years’ experience working in the Banking and Finance sector. Having worked previously as a Finance Broker, including one of the big 4 banks as a Relationship Manager. Linda’s close relationship with the accounting and planning teams within Paris Financial ensures clear communication for our clients. She enjoys working closely with her clients to achieve the very best outcome that is tailored specifically for them. Allen specialises in Self-managed Superannuation Fund audit and structuring issues to ensure our SMSFs’ comply with the legislative requirements and that the funds are structured in the most effective way in meeting clients’ needs and their future goals. Allen’s commercial experience also involves providing Research and Development applications for some of our more innovative clients. He also provides accounting and taxation services to our physio clients. Allen’s attention to detail and client service has gained him an outstanding reputation with his peers and clients alike. With these skills Allen manages some of the larger clients of the firm.